The York Catholic District School Board has been running a program promoting Women in the Trades for the last few years. Female students from many of the schools in the York region have been learning about skilled trades and the growing opportunities for women within the industry. They’ve been on field trips to various companies to get a better idea of what trades they may be interested in. On Tuesday April 17th and Wednesday April 18th, 2018 they went to Weldtech Training. Students had an opportunity to hear from guest speaker Milène Nolet, a technical sales representative from Lincoln Electric. They also got a chance to get some hands-on experience trying their hand at GMAW (MIG) using Lincolns’ Power MIG 350MP Machines, Plasma Arc Cutting on aluminum as well as trying Lincolns’ Virtual Welding Machine. 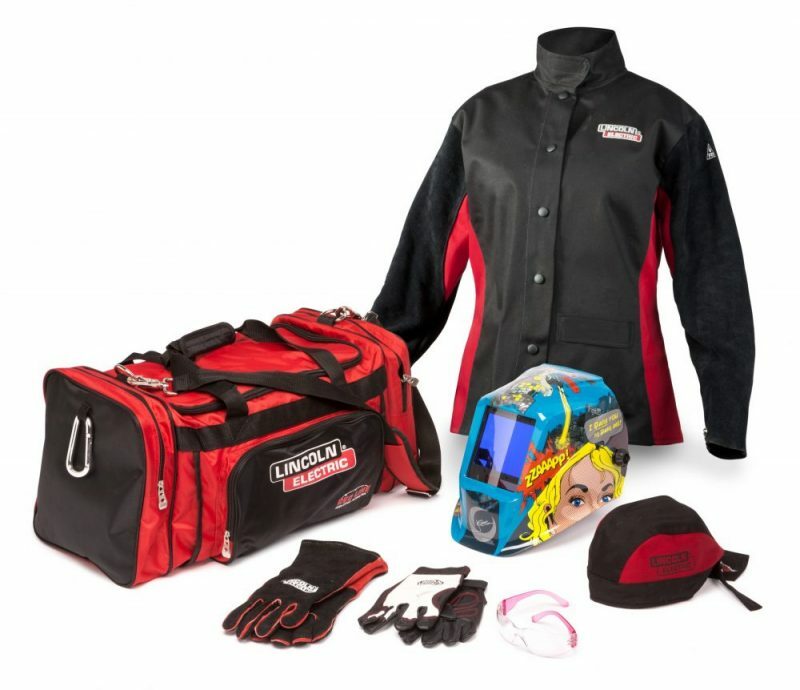 The students were given a chance to enter a draw with prizes that included 1 week of complimentary welding training at Weldtech, and a generous prize package from Lincoln (The Jessi Combs Women’s Welding Gear Ready-Pak pictured below) which included a Helmet and various Lincoln welding attire. Weldtech would like to thank all the students for their participation. Special thanks to school staff members; Colin Wilkie, Jessica Phillips, Fausta Martini and Ms. Bondy for chaperoning and taking part in the hands-on portion of the event. Also, thanks to Milène for her presentation and to Lincoln Electric for their prize donation. Congratulations to prize winners Samantha Azzarelli (1 week training program) and Milena Gucciardi (Lincoln prize package). Click here to see our gallery from the 2 day event. Everything a female professional fabricator would need including a Lincoln Electric industrial duffle bag, Viking™ 3350 Jessi Vs. The Robot™ welding helmet, Shadow™ Fire Retardant welding jacket, MIG/Stick gloves, steelworker gloves, safety glasses, and a Fire Retardant doo rag. January 4, 1943. 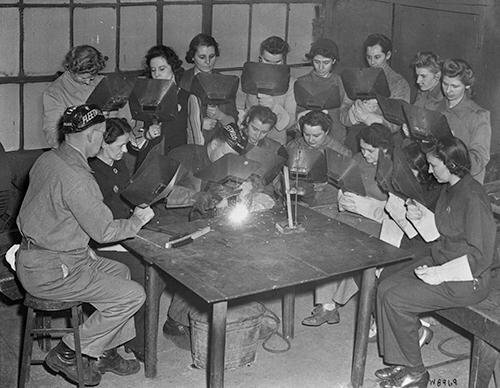 Opening of the first class of women arc welding students at Lincoln Electric.